Another govt job is available in Assam for Recruitment of Marketing Officers in BPPI, Tezpur 2017. Bureau of Pharma Public Sector Undertakings of India (BPPI) is the implementing agency for Pradhan Mantri Bhartiya Janaushadhi Pariyojana (PMPJP) of Department of Pharmaceuticals, Ministry of Chemicals & Fertilizers, Government of India. BPPI is expanding its operations and has urgent requirement of Marketing Officers/ Sr. Marketing Officers at Karnal (Haryana), Bangalore (Karnataka), Tezpur (Assam) purely on contractual basis. The objective of the scheme of BPPI Recruitment 2017 is to make available quality generic medicines at affordable prices to all. Educational Qualification : Basic educational qualification is Graduation. Additional qualification of M.B.A. (Marketing) will be an added advantage. 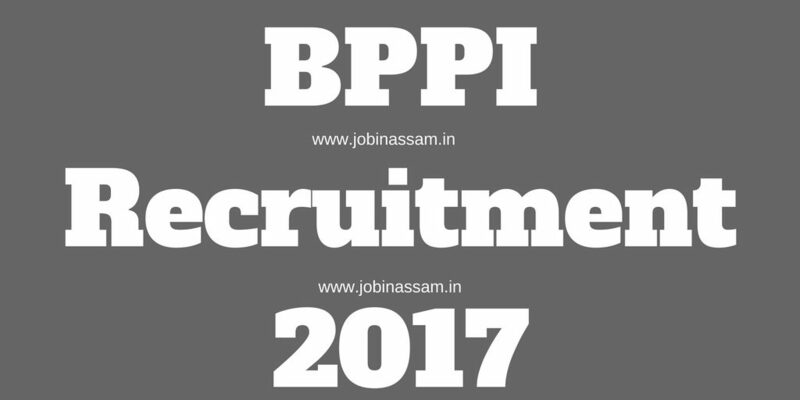 Experience : For BPPI Recruitment 2017 candidate should have 01-03 Years’ experience in Marketing and Sales. Experience in Pharma sector will be given preference. Last Date: Your application should reach the above mentioned office on or before 10/07/2017. Please visit http://janaushadhi.gov.in/vacancies.html for details and application format.